Existe uma literatura recente que busca raízes bem longínquas nas explicações do desenvolvimento econômico (um desdobramento inevitável dos insights de North lá no início desta brincadeira toda). Um working paper recente busca testar a hipótese para os EUA. Bem, vejamos seu resumo. There is a large and growing economics literature that seeks to explain how modern economic development and cross-country income differentials are the result of ancient historic, cultural, genetic, or other factors, whose effects persist in the modern world (Spolaore and Wacziarg 2013). Referred to by some as the “Deep Roots” literature, it broadly finds that these long-standing differences, whatever their mechanism, have powerful, positive predictive power in explaining modern levels of GDP per capita and other indicators of economic development. The other contributions to this literature primarily focus on how State History and Agricultural History of the population affect economic development outcomes across countries. Instead, we look at its effects on economic output per capita across the U.S. States. We can only establish very marginal support for Putterman and Weil’s (2010) findings at the state level. Furthermore, there is no statistically significant relationship between the Deep Roots Variables score and the liberalness of a state’s economic institutions. Given the large literature on the importance of liberal economic institutions for economic growth and other outcomes (see, e.g., De Haan et al. 2006; Hall and Lawson 2014), the lack of a relationship between the quality of economic institutions and the Deep Roots Variables eliminates this institutional channel from the deep roots hypothesis. No final do artigo, no apêndice, uma tabela que poderia ser interessante, inclusive, para pesquisadores sérios de História Econômica do Brasil. We use the history of private limited liability companies (PLLCs) to challenge two pervasive assumptions in the literature: (1) Anglo-American legal institutions were better for economic development than continental Europe’s civil-law institutions; and (2) the corporation was the superior form of business organization. Data on the number and types of firms organized in France, Germany, the UK, and the US show that that the PLLC became the form of choice for small- and medium-size enterprises wherever and whenever it was introduced. The PLLC’s key advantage was its flexible internal governance rules that allowed its users to limit the threat of untimely dissolution inherent in partnerships without taking on the full danger of minority oppression that the corporation entailed. The PLLC was first successfully introduced in Germany, a code country, in 1892. Great Britain, a common-law country followed in 1907, and France, a code country, in 1925. The laggard was the US, a common-law country whose courts had effectively killed earlier attempts to enact the form. Pitfalls to Avoid when Measuring Institutions: Is Doing Business Damaging Business? Rwanda está em uma boa trajetória? Karol Bodreaux pensa que sim. Uma nota pessoal: ao invés desta baboseira de politicamente correto (história “afro-descendente”) ou de ONG’s voltadas para a pregação stalinist..digo, socialista como saída para a África, acho muito mais interessante a visão de se pensar instituições para que o potencial empreendedor dos africanos seja a luz no fim do túnel. Isto não exclui o microcrédito – meus leitores mais antigos sabem que enterrei uma pequena quantia no Kiva, lá na África – mas microcrédito não é, repito, a saída. A saída é a mudança das regras do jogo que, inclusive, englobam o microcrédito. O que determina o acesso aos mercados de um país? Descubra aqui. Esta é uma questão interessante. Envolve, no fundo, uma questão institucional simples (teoricamente falando) e complexa (na prática): que tipo de federalismo maximiza a prosperidade dos iraquianos? This article offers a provocative critique of the ability of research on the impact of institutions on growth to offer immediate and practical recommendations for reforming and redesigning institutions in developing countries and transition economies. The literature traces the sources of growth to unalterable historical and geographic features. It contains equally plausible recommendations for opposite courses of action. It is sometimes driven by fads or recommends imitation of the latest success story. Some recommendations are too vague or too general to constitute practical advice. The article suggests a Bayesian diagnostic procedure to identify the causes of economic failure in an individual country as a first step toward remedying the failure. A resposta vem em seguida, pelas mãos de Philip Keefer. Amakudari é como se lê os caracteres do título. Literalmente: “caiu do céu”. Eu não sou linguista ou antropólogo, mas é engraçado ver que, no Japão, “cair do céu” tem uma conotação ruim enquanto que, no Brasil, “cair do céu” é algo bacana. Deu no Organization and Markets. O link é este. Um assunto que realmente me fascina é o do provimento privado de defesa. 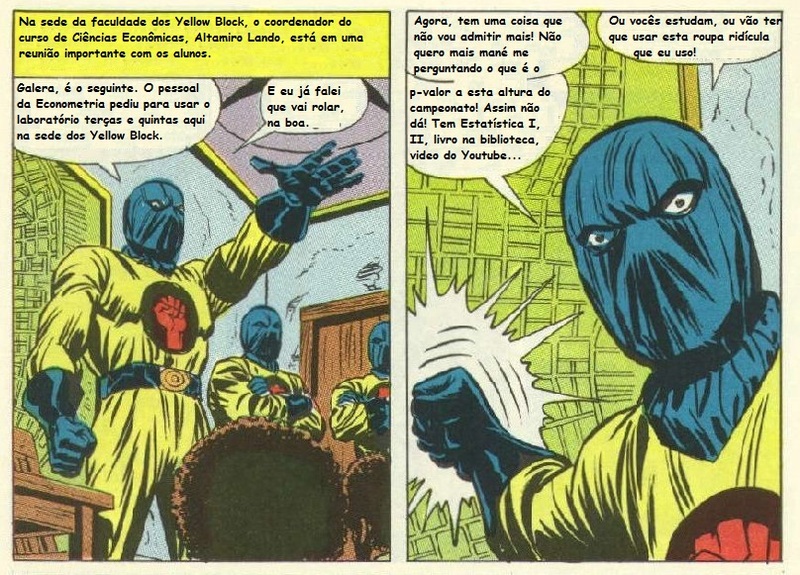 Parece-me que meu assunto favorito também é uma interessante nova agenda de pesquisa, pelo que li aqui. Em outras palavras, em breve veremos artigos interessantes sobre este tema, lá na civilização. Vejamos se faço algo aqui na selva.